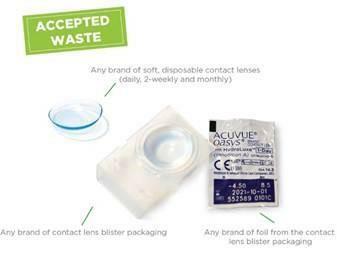 Johnson & Johnson Vision has launched the UK’s first free nationwide recycling programme for all soft contact lenses. Following the contact lens giant’s recyclable front cover of last week’s Optician, it revealed full plans to the media this week. Backed by Boots Opticians and select independents, J&J said its programme offered 3.7 million UK contact lens wearers the opportunity to convert waste into new products. Its research for the launch showed 70% of consumers to be confused about the types of household items they can recycle. Meanwhile, more than a third of contact lenses wearers were not sure or believed they could recycle lenses, and a fifth of wearers reported that they currently dispose of their lenses by flushing them down the toilet or the sink. Through a collaboration with TerraCycle, the new scheme enabled patients to recycle their contact lenses and the blister and foil packaging after use, to be turned into outdoor furniture and plastic lumber. Consumers have the option of either having their contact lens material collected, or dropping it off through a network of recycling bins at more than 1,000 public drop-off locations at optical stores across the UK.